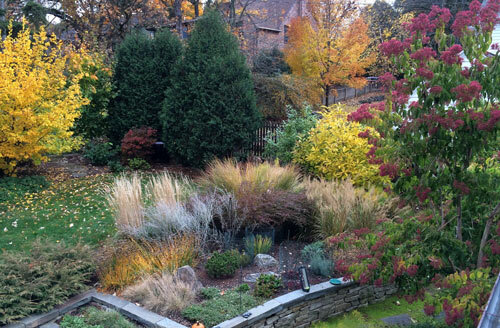 “We had never worked with a landscaper before. This is our first planned and executed landscape. 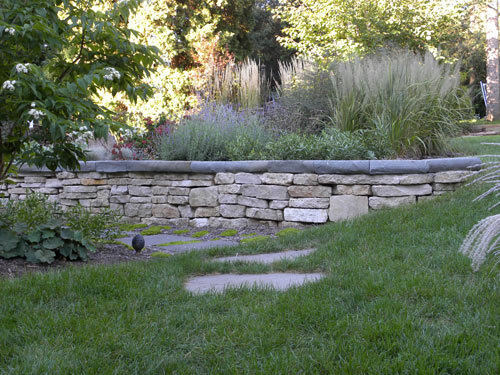 Two people stand out for their expertise and commitment – Errin and Kurt, the boulder wall builder. Errin listened to us in the planning stage, had creative ideas, was patient with us when we changed our minds and followed through on the changes. Her knowledge of plants is so great and her even temperament makes her so easy to work with and is reassuring when potential problems arise. She is thorough, dependable, showing up whenever she said she would come, plus calling to keep us informed of when work would or wouldn’t be happening. 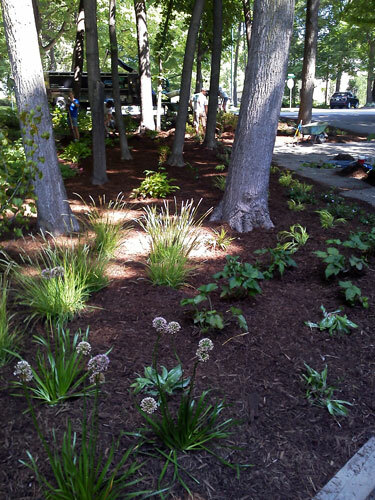 I was especially impressed with her presence on installation days and placing the plants in their spots. She is great as a person and a professional. “Kurt was here so much, he felt like family. We had no idea of what would be involved in building the extensive boulder walls – on the plan the stones looked small! We came to appreciate the artistry involved in building such walls and Kurt is a creative and preserving master. What skill he has in seeing potential in rocks and in operating the equipment to get them in place as he wants them.